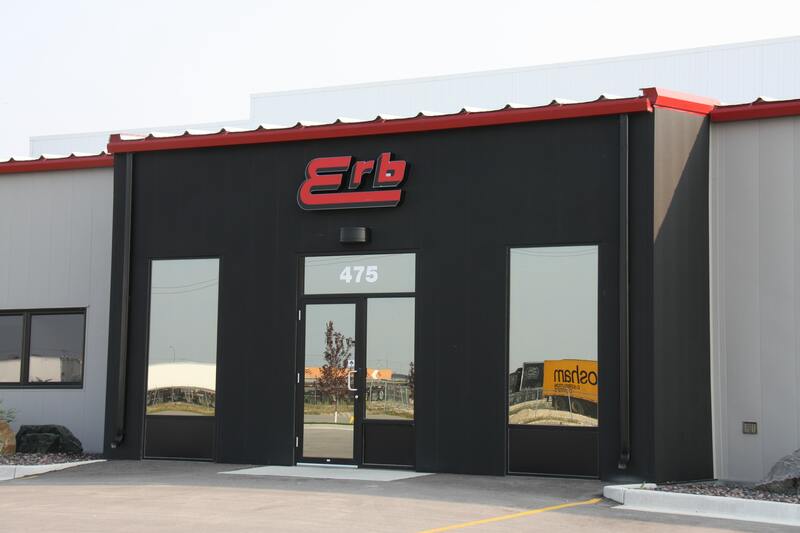 The Erb Group of Companies was developed from a one-man operation in 1959 to an industry leader that currently employs over 1,300 staff and 140 owner/operators across our network of ten terminals. 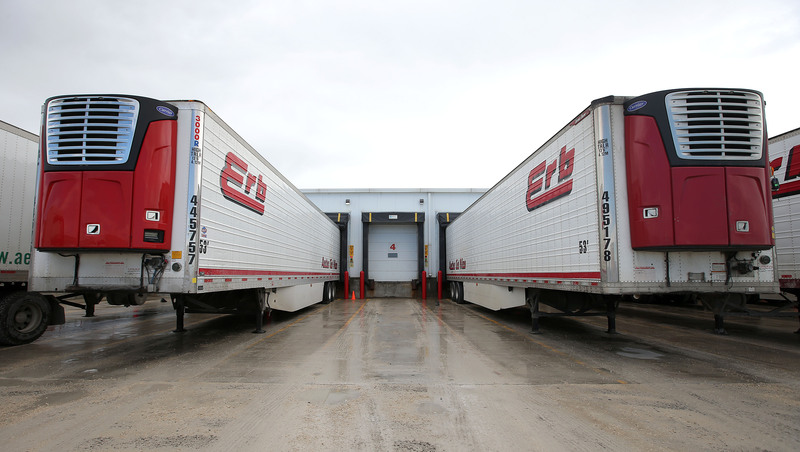 Customers rely on Erb transportation for the smooth delivery of time and temperature-controlled products to over 24,000 consignees, throughout most of Canada and all 48 continental states. 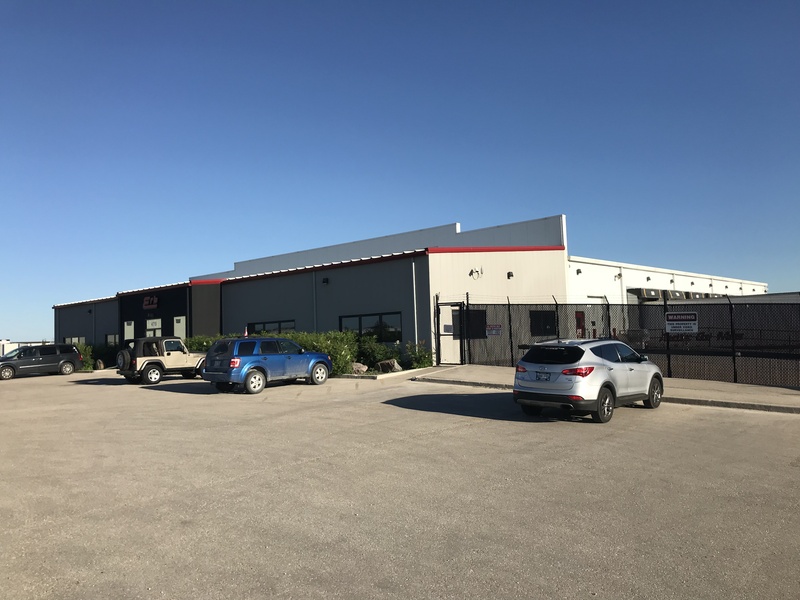 The new Winnipeg terminal consists of a large cold storage facility (including cooler and freezer warehousing), cross dock capability, wash bays, a dispatch area, trucker’s lounge and spacious office areas, completes this efficient and serviceable building. 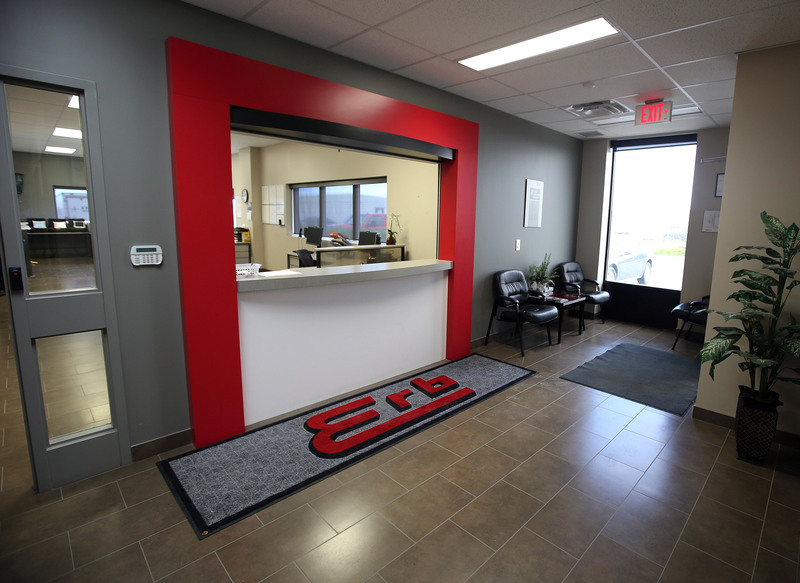 A touch of bright and cheery red welcomes you into the reception area. 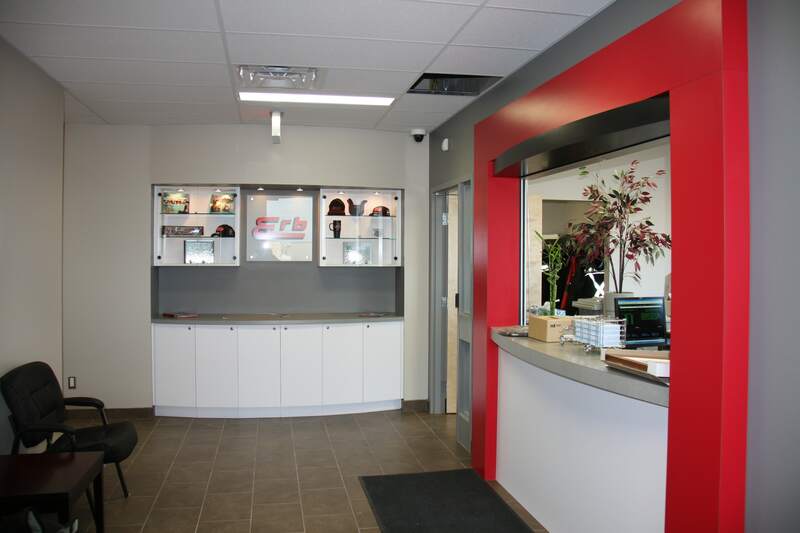 Here a display case highlights the company name and showcases various other items including apparel, plaques, and awards. 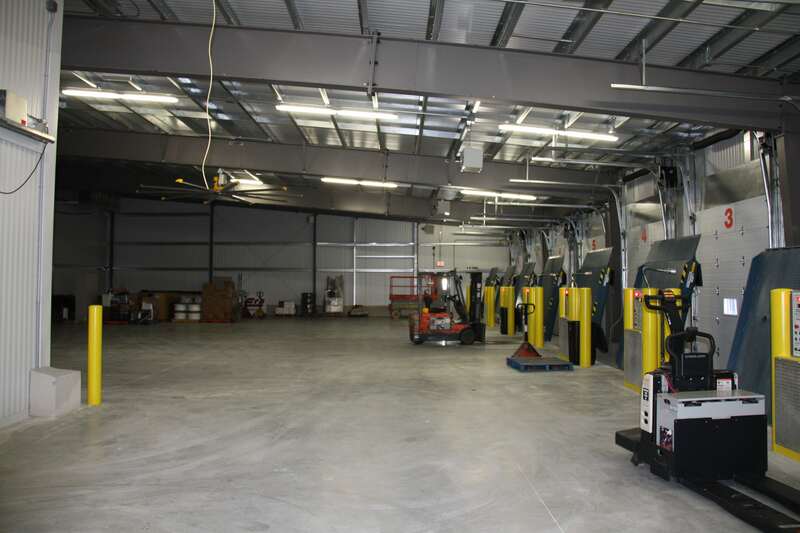 The large warehouse area of this facility is quite unique wherein the loading docks are outfitted with LOGI-Smart integrated control panels. 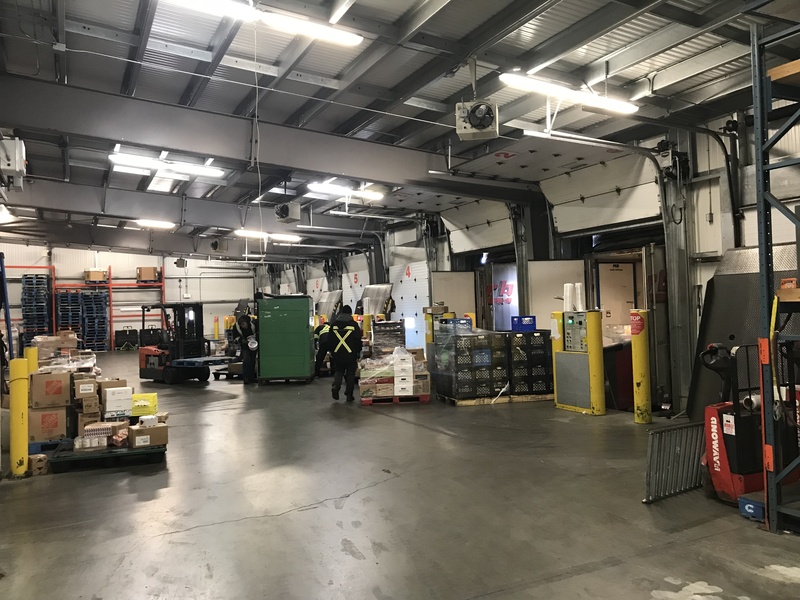 The side and head bags inflate to form a solid weather seal between building and trucks and incorporate an internal retraction system to ensure proper storage positioning.